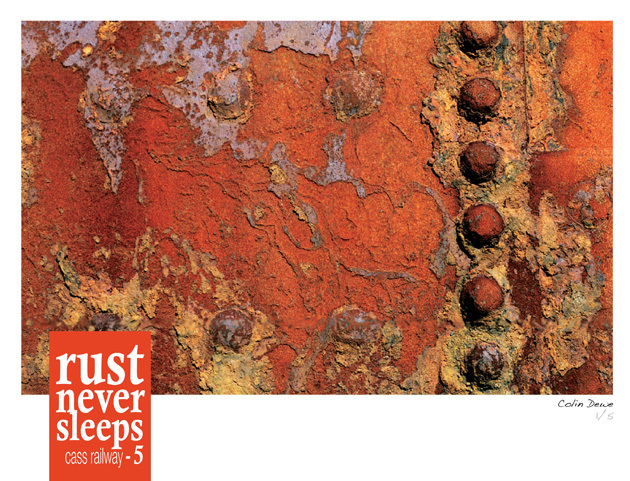 The “Rust Never Sleeps” photographs depict our slowly disappearing history at Cass in the Canterbury High Country. These old railway engine boilers are full of history. Their beautiful colour transforms over the years from smooth and mellow to rough and textured. The living colours capture the suns rays and take me to another world of surreal planet surfaces.